Shila Morris is a graduate of the University of Nevada and a current graduate student as well. She is also the president of the Squeeze In restaurants in Nevada and California. In her very well prepared and executed talk, she describes both the challenges and joys of working with your family in a small business. In addition to financial stability, the American Dream for Shila and her family is the ability to do something meaningful together and have a positive impact on their employees, customers, and community. After you watch this talk, please share your thoughts in the comment section below. Michelle Killebrew works for for IBM Social Business, where her team focuses on messaging and solutions that define social business and demonstrate how organizations can embrace this next information revolution in the workforce. 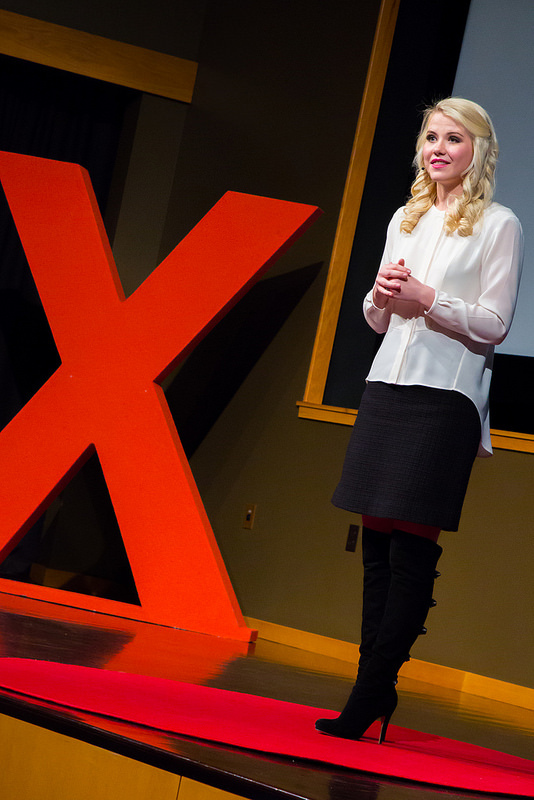 In this TEDxUniversityofNevada 2015 talk, she discusses how technology, especially social technologies like Twitter and Facebook, can make us more human. Through our power of choice, we can decide whether we will enable social technologies to impact our lives in either a positive or negative way. Please watch Michelle’s insightful talk, then share your thoughts in the comment section below! Juan V. Lopez is currently an MBA student at The University of Nevada. He was the winner of the Nevada Student Speaker Competition at UNR and hence won a spot to speak at TEDxUniversityofNevada 2015. Juan stutters, and in this video he discusses how most of his life he saw his stutter as a problem that he had to try to fix or hide. He has now come to accept his stutter and embrace it as something that makes him unique. He challenges us all to think about our own “stutter” and likewise embrace what makes each of us unique. Please watch the video, then please share your thoughts in the comment section below. In this very insightful talk, Liz describes how being inexperienced can actually help us and our teams do better and faster work because we are forced to assume a posture of learning. Living and working with rookie smarts can be accomplished with three simple choices 1) ask more questions, 2) seek novelty, and 3) treat work as play. Please take the time to watch Liz’s talk, then share your thoughts in the comment section below. The Donald W. Reynolds Nevada Governor’s Cup business plan competition encourages Nevada university students to act on their talents and ideas. Two EMBA students in the 2012 Cohort did just that. Denis Phares and Sean Nichols worked with team member Justin Ferranto (working toward a Ph.D. in Engineering, UNR ) and advisor, Matt Westfield to create Dragonfly Energy, a Reno-based lithium ion battery technology company. Their business plan earned them 2nd place in this prestigious event. For more information on the competition, visit the Nevada Governor’s Cup website at http://nvgovernorscup.org/. Pictured left to right: Sean Nichols (COO), Denis Phares (President and CEO), and teammate Justin Ferranto (VP of Engineering). 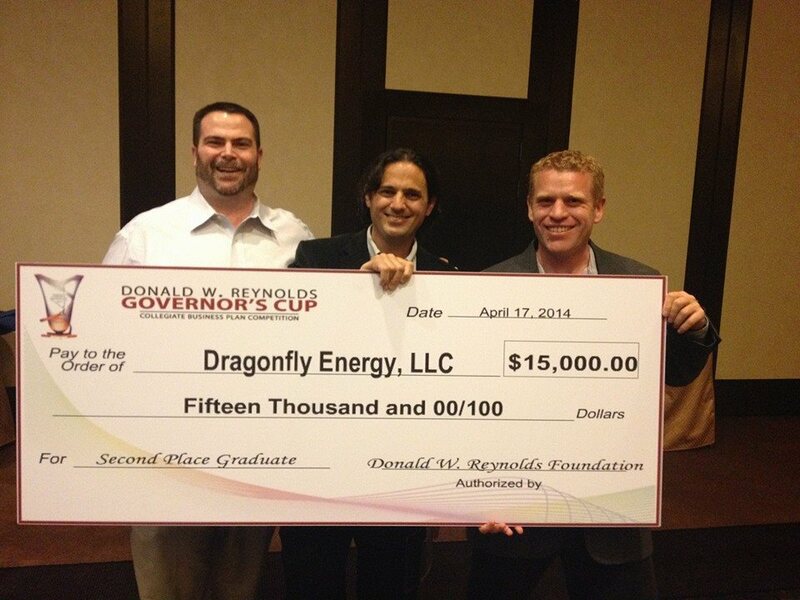 Dragonfly Energy began as an idea to reduce the manufacturing costs of Lithium ion batteries. The motivation was to break the cost barriers to greater incorporation of renewable energy sources, like solar and wind. Denis Phares, who also holds a Ph.D. from Caltech and originally developed the idea, recruited Justin Ferranto to help establish a laboratory in Reno and to prove the process. After a patent was filed, Denis and Justin recruited Sean Nichols (Denis’s EMBA classmate) to help launch the company with a focus on gaining the capital needed to establish a prototype manufacturing unit. As the three began the market research phase and to explore a potential customer base, there appeared to be large underserved markets that could benefit significantly from Li-ion batteries now. As a result, Dragonfly Energy has already initiated sales of standard and custom Li-ion battery packs, and are building the brand, while simultaneously pursuing the groundbreaking technology. This model is unique for tech startups, but it garnered the attention of the competition judges.